leBipBip+ is a new solar powered vario for paragliding and hang gliding with great new features! 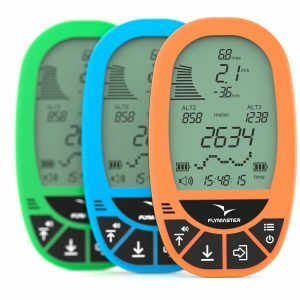 solar powered audio variometer for paragliding and hang gliding with new design and improved features! leBipBip+ is solar powered and has integrated battery. 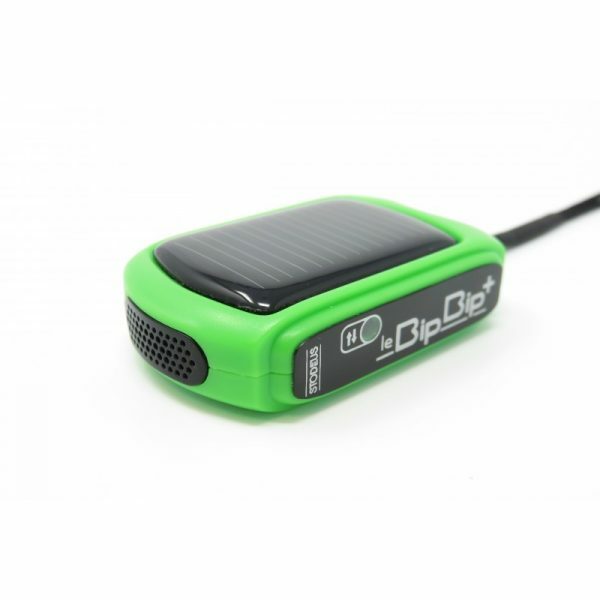 With the solar panel integrated into the top of the instrument, leBipBip has been designed so that it is always charging when in light, even while switched OFF. With the integrated internal li-ion battery, the instrument has enough capacity for 100 hours of flight even without sun. We heard you: you need a strong and clear beep. This new version, leBipBip+, boasts a 4 times louder tone than its predecessor (82dB). With a new buzzer and a redesigned resonance chamber (front grid), the loud beep enables its use not only on helmet or shoulder strap but also on cockpit or riser, even with a full face helmet. 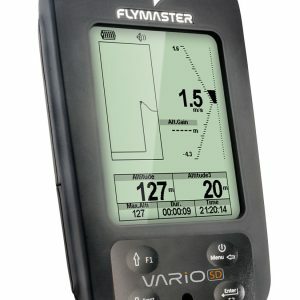 Furthermore, the vario tone response has been improved to match every pilot’s expectation, from accurate weak lift information to strong lift with a calmer tone. 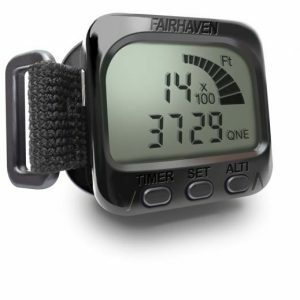 For paramotor pilots, it’s an easy way to check the ascent rate despites the engine noise. leBipBip+ has a third type of tone : the weak lift buzzer. This indication tone is made of short modulations indicating weak lift (between -30cm/s and your positive lift threshold, (default is +20cm/s), not strong enough to thermal but helping you to find thermal standing nearby. On the image, grey pilot doesn’t have his weak lift buzzer activated, while green pilot has it activated. 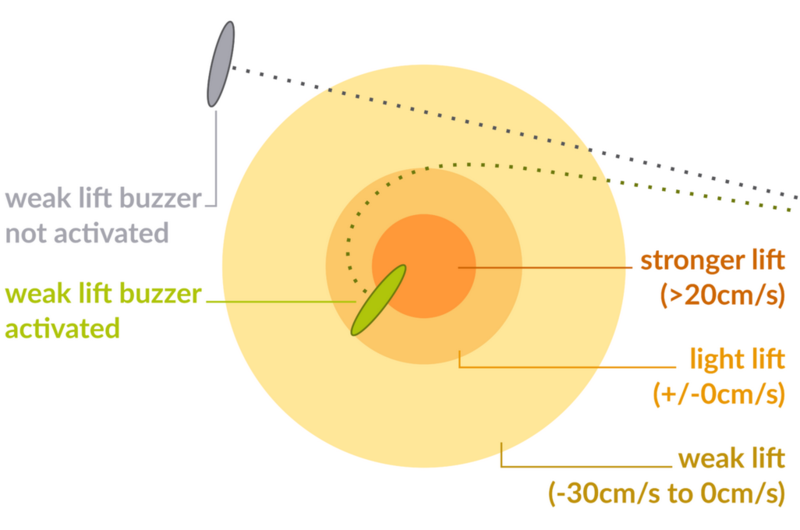 The buzzer sounds when he flies through weak lift, allowing to search for the thermal core. The vario lift tone threshold, and reactivity time are configurable, leaving you the choice when you want to hear the lifting beeps. The sink alarm (default setting: disabled), is selectable by -0.50m step, and gives a distinctable feedback to the pilot when entering strong sink. Settings go from -1 m/s to -3.5 m/s, and alarm off. leBipBip+, as it’s predecessor and leGPSBip, is designed, manufactured, and assembled in France, in Grenoble at the heart of the Alps.